Every year in the month of March, a thunderous cadence can be heard rolling across the land. Artists around the world celebrate their love of all things robotic during MARCH of ROBOTS! The goal is to draw a new robot illustration each day for 31 days. If you feel you’re up to the full 31 day challenge, awesome! If not no worries. You don’t have to do a drawing every day. Just set yourself a goal and stick with it. So! Open those sketchbooks, sharpen those pencils, boot up those digital drawing tools the ROBOTS are coming!!! 1. Drawings can be digital or analogue, but it must be drawn by you and it has to be a robot or depict a scene featuring a robot. 2. Hashtag your drawings with #marchofrobotsand #marchofrobots2019 then post it to Instagram and any other social spot you like. Twitter, tumblr, etc. VISIT: www.instagram.com/m_a_carmona/ TO FOLLOW ​MANUEL'S NEW ROBOT SKETCHES ON INSTAGRAM DAILY! 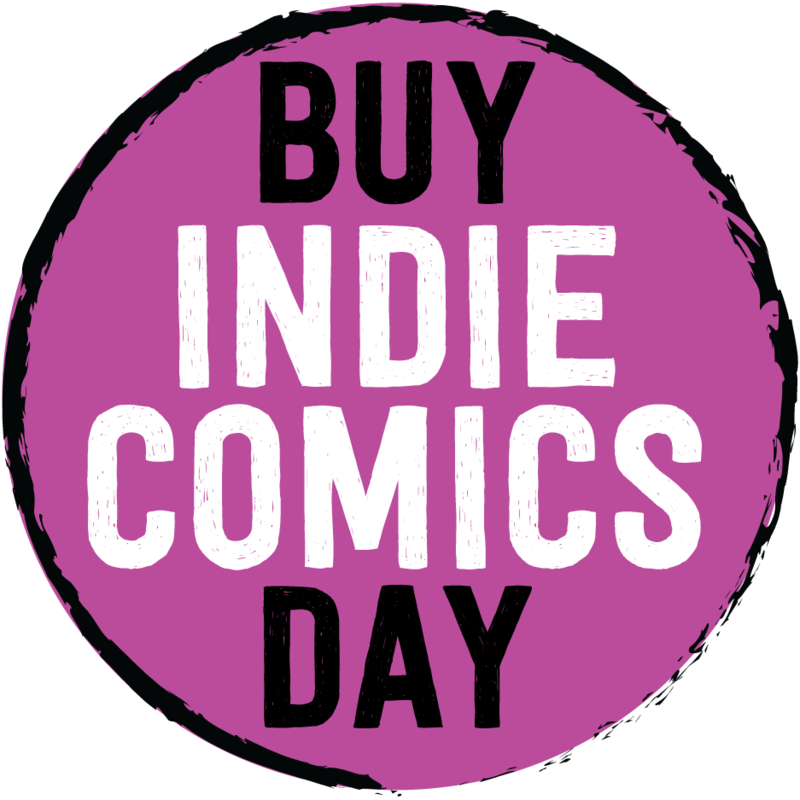 "We founded Buy Indie Comics Day so indie, small press, and local creators around the Wprld could synergize on a single day designed to celebrate their work. It's our hope that retailers will take this chance to stock up on indie comics, that consumers will take a risk on new titles and creators they've never heard of, and that creators have an event to push their project and interact with as many people as possible. So if you're a creator find a local comic shop and get in there! If you're a retailer, invite local creators to table at your shop and stock up on their books and if you're a fan; buy a comic you've never heard of from someone you don't know. Who knows, that book you've never heard of before might become you're new favorite!" If you live in the Hampton Roads area and you want to own a copy of my comicbook Project: New Wave #1 YOU NEED TO BE THERE!!! Every October, artists all over the world take on the Inktober drawing challenge by doing one ink drawing a day the entire month. Created by Jake Parker in 2009, Inktober is a challenge to improve inking skills and develop positive drawing habits. It has since grown into a worldwide endeavor with thousands of artists taking on the challenge every year. ANYONE CAN DO INKTOBER, JUST PICK UP A PEN AND START DRAWING. ​1) Make a drawing in ink (you can do a pencil under-drawing if you want). ​Note: you can do it daily, or go the half-marathon route and post every other day, or just do the 5K and post once a week. What ever you decide, just be consistent with it. Inktober is about growing and improving and forming positive habits, so the more you’re consistent the better.